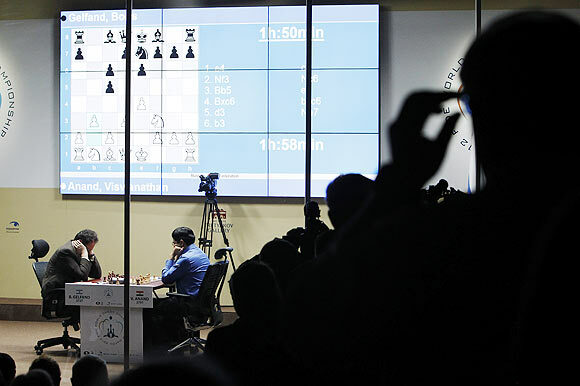 Defending champion Viswanathan Anand is set to fight it out in a Rapid chess tie-breaker against challenger Boris Gelfand after a tied 6-6 result in the World Chess Championship match in Moscow on Wednesday. There will be five such matches if the tie persists and finally an Armageddon game will be played with five minutes to white and four to black, and white will be forced to win should this arise. It's not only the decisive games but also the intensity in terms of prolonging a serious battle. Out of the ten draws, seven were under move 30, which goes to prove that the players are arriving at nowhere-to-go positions fairly quickly. Totally, in 12 games, the average numbers of moves have been less than 30, which is way below the last two matches. Against Kramnik, Anand played 390 moves in all in 11 games, averaging over 35 moves a game, while against Topalov it was substantially higher at over 60 moves per game in 12 games lasting 627 moves. "We are playing for the crown and not only to entertain, besides there are many highly qualified commentators who can explain it to the uninformed spectators," he said. As far as the records go in Rapid chess, Anand has practically won everything under the sun except in World Championships. The Indian was eliminated in the finals of the 1998 World Championship by Anatoly Karpov of Russia, and in 1994, he lost to Gata Kamsky of United States in the quarter-finals. Besides, Anand has never been stretched to the tie-breakers in World Championship matches, although he faced some sterner tests when the championship was held in the knock-out format. 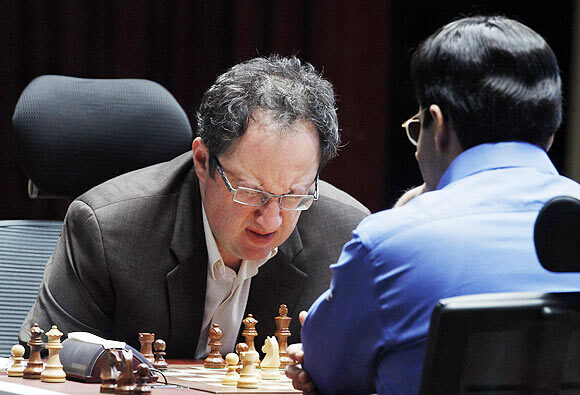 Gelfand is no stranger to pressure, especially if one considers the current match. The Israeli, it is clear, has given everything to this match and now arrives at a situation when the match cannot be prolonged any further. He will have white pieces in the first game of the tie-break. 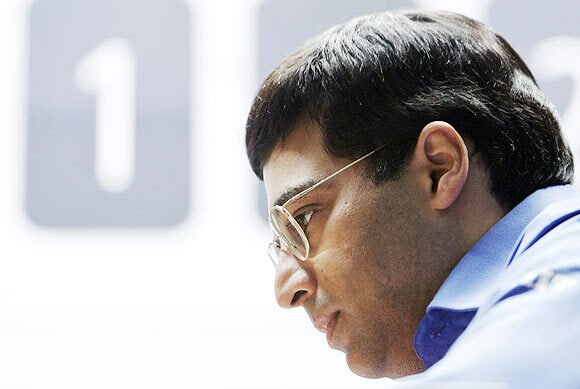 Anand remains a favourite, but this time he was pushed too far. 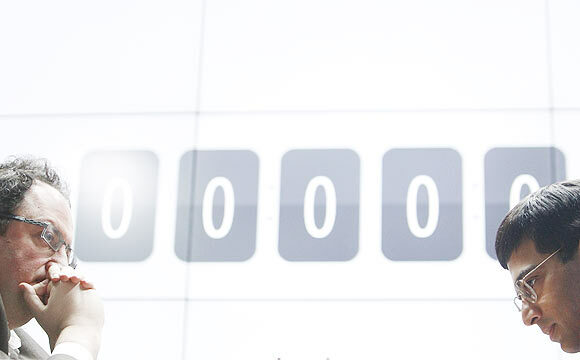 According to Vladimir Kramnik, "Now for sure we'll have an incredibly entertaining last day. Maybe for us it's not so bad. I think it's not a wise decision from Anand's side but for us maybe it's a good thing that happened."